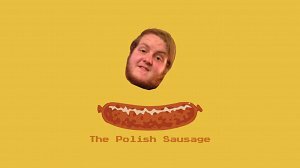 Unfortunately I stopped hosting the thepolishsausage.com. The website literally was too stupid to continue paying $14.99 a year. It was funny while it lasted though. I have a confession to make. It is one that I hopped I would never have to tell except to those closest to me. I, Nick Santini, created possibly the worst and most useless site the world has ever seen. This is why it was so easy for me to "stumble upon" the website. Even though it may not be possible, I will try to explain why I made this website. This site was created for a friend of mine for Christmas. I was just starting to create websites, so any chance I had to make a website I took. Instead of getting my friend a gift card which is incredibly boring, I decided to spend half the money and get a $10 domain name. I figured a website that was a joke would be a way cooler and more personal gift than a gift card. Why "The Polish Sausage" you say? That is my friends nickname (He is Polish). It only seemed right especially because the website was supposed to be a joke anyway. At the time I was using the website to practice web design and development. 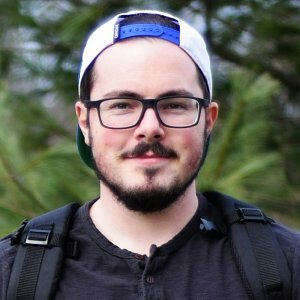 The main goal was to make sure that when he typed his name "Zach Pietrasiewicz" and clicked "I'm feeling lucky" on google that this site would pop up. In that sense, the website was a success. The other thing I wanted to accomplish was a site page that was optimized for page load times and was responsive. Because the page is so simple, it obviously loaded fast and easy to make responsive. It was also my first time using the CSS transform property, which I used to rotate his terribly Photoshopped head. My friend loved the site. Even though it's probably the worst website of all time, it ended up being a great conversation piece for the both of us. Naturally, it ended up being a bounce rate disaster, but it still generates a decent amount of traffic. For those people, my sincerest apologies. Who knows, maybe the site gave you a good laugh. Seriously though, you may want to make sure it didn't lower your IQ!